Our Surname History product features instant access to a full version Coat of Arms and a beautifully produced Surname History PDF. Please view the examples below to preview our work. 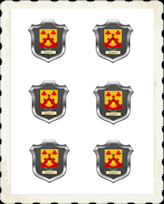 Note that once your surname history is completed, our graphic artist will restore the included Coat of Arms to magnificant full color antiquity. Purchase of this product is handled by our main Celtic Radio website and includes other features and benefits. Searching your Surname will redirect you to our special purchase pages. 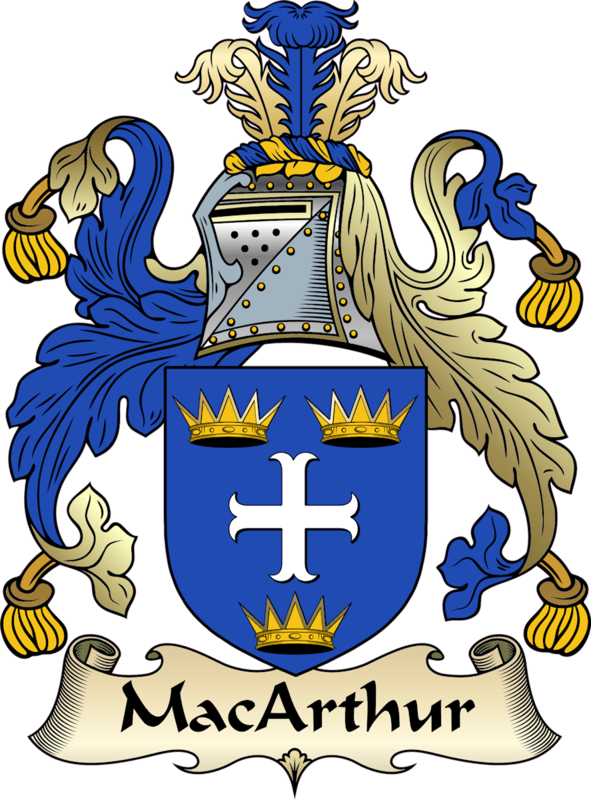 Use the following form to order your Family Coat of Arms or Clan Badge today. To see a larger design, roll over image for preview. Please note that these designs are limited in color and size. Purchased designs are in full color and full size! Many of our designs are available for electronic download for use on your personal computer. We provide a full color rendition of the design image which is 3.5 inches by 5.0 inches. PDF Surname History is 8.5 x 11 inch and spans multiple pages. All downloadable designs are rendered in glorious 24k JPG for maximum color and resolution. Our design products are perfect for school projects, letterhead, email, website, newsletters and brochures. No shipping charge for this item - it will be sent to you by email! Please allow 24-48 hours for electronic delivery.